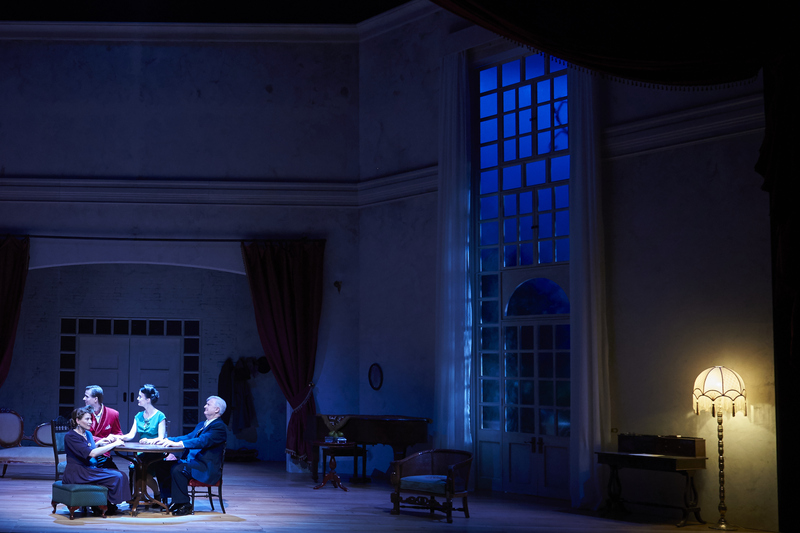 In Noel Coward’s Blithe Spirit, Ruth and Charles Condomine invite their friends, along with local kook Madame Arcati to an all-in-good-fun seance. But the fun soon fades for the couple when the seance leads to the mistaken calling-forth of the spirit of Charles’ dead first wife, Elvira, much to his and Ruth’s horror. I have loved this supremely funny farce since first performing monologues from it as a teenager doing Trinity College Speech exams. Later I saw it in the fabulous movie version starring the indomitable Margaret Rutherford as scatty but enthusiastic medium Madame Arcati, and loved that too, so much so that I made the Ministry watch it a few years ago. Most recently I saw a stage version Roleystone community theatre performed perhaps just two years ago, to which I dragged the Ministry in an effort to show him both why I like community theatre (not just for the free cream sherry starters) and enjoyed myself immensely. While I have liked previous contemporary works by Black Swan – last year’s Gasp! for example – I do think the company shines brightest when it goes traditional. So when I heard it was doing my old favourite I knew that, given my recent viewing history of the play it was complete overkill to attend, but nevertheless absolutely necessary. I got the news on the day of the preview that the actress playing Madame Arcati – not the biggest role of the play but arguably the show-stealer – Roz Hammond, had fallen ill and had had to withdraw from the season, I greeted the news with mingled worry that my guest, The Tutor, who I had been sure would share my enthusiasm for this play, might not see it at its best. Director Jeffrey Jay Fowler appeared before curtain-up to tell her replacement Alison van Reeken, who had played to acclaim in the recent season of Dinner, had been called upon just that day to play the role and would do so bravely, script in hand, on the strength of a single run-through that morning. Despite my trepidation I was very much inclined, as I’m sure the rest of the audience was, to show goodwill to anyone with the balls to get up and star in a production at the drop of a hat and joined in the warm applause at her appearance. Well, by golly. As I told the Ministry that night when I appeared at home deliriously sleepy after staying up two hours past my regular bedtime (I know, it’s pathetic) anyone who thinks acting is a bit of a Mickey Mouse profession should have seen what van Reeken stumped up. She used the script as she had to, but she did so fluidly and with amazingly little reliance on it. She made it part of her movement (and Madame Arcati is a very physical role, so this was no small achievement.) She used the stage space without a single stumble that I could see, and of course we were all looking for one. Physically she was about as far as you could get from the Madame Arcati of my imagination, who behaves firmly like a stout middle-aged crazy auntie (we’ve all got one) so it was a shock to the system to see her played by a slender young blonde. But this fine-boned woman had a big stage presence and my suspicions faded quickly. I was honestly so impressed by van Reeken’s self-possession, professionalism and general aplomb that it was an inspiration to see her in action. Her performance was all the more impressive in such a dialogue-heavy play. This play has a relatively basic set and as Coward fans will understand, the rapid-fire comedic dialogue is everything. If that fails you got Buckley’s. And it didn’t fail. With this in mind, credit must also go to the other actors who supported van Reeken so strongly in her every scene, particularly the roguish Charles (Adam Booth) who loves both his wives (but perhaps not quite as devotedly as all that, as he himself confesses) and snappish but pitiable Ruth (Adriane Daff) as well as peevish and excitable Elvira (Jo Morris), who wreaks such merry havoc upon their once-contented marriage. Charles and Ruth, onstage for virtually the entire 2.5-hour play, never miss a beat despite the phenomenal amount of dialogue they have. The speed and skill and timing of their repartee is flawless. Despite the entire cast looking rather younger than I would generally expect (it is traditionally a middle-aged sort of crowd whereas none of these characters, apart from one, looked much over thirty) they were all so on-beat that I eventually forgot the characters I imagined and started appreciating the ones in front of me. My favourite was probably Ruth, whose keyed-up speeches (screeches?) made me laugh, but simultaneously grimace in solidarity with her. The Tutor loved Charles and a special nod must go the maid Edith (Ella Hetherington), whose exaggerated mincing about the stage had perfect comic timing. I made particular note of the beautiful use of lighting, which managed to produce the effects of all times of night and day with uncanny authenticity. At one stage I could have sworn I was myself sitting at a sunlit breakfast table on a crisp English morning. Don’t let the change of cast put you off. If you love a good English comedy of manners then it would be a sin not to take yourself off to this one. Alison van Reeken will probably have learned her lines and written a novel and baked a cake by the time you’ve booked your ticket if what she managed in one day is anything to go by. But do watch Margaret Rutherford in the movie as well – afterwards, of course. I got review tickets for this, I should mention, but my appreciation is genuine. 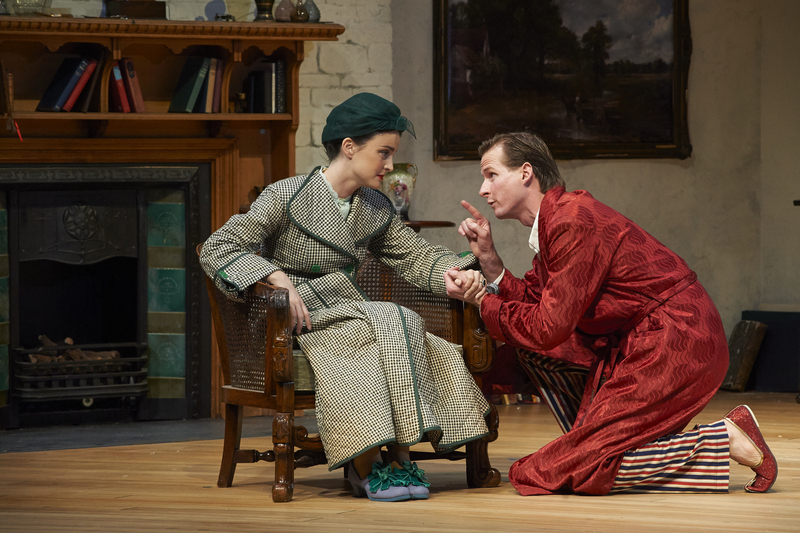 Blithe Spirit runs until August 9. 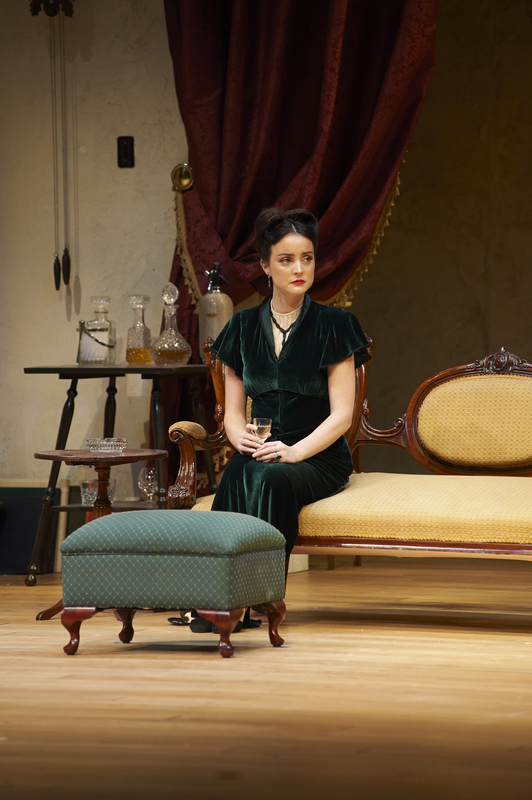 This entry was posted in Stage and tagged Black Swan State Theatre Company, Blithe Spirit, Charles, comedy, Condomine, Elvira, English, Heath Ledger Theatre, Noel Coward, plays, Ruth by Emma Young. Bookmark the permalink.